A new business opening in Port Washington on Nov. 1 called Bach to Rock aims to get children as young as three-years-old into music. It also serves adults who want a chance to jam to let loose after work. 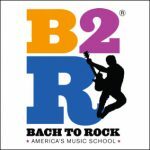 Bach to Rock is housed in a 3,500-square foot facility that has a small, private lesson room, large band rooms and a recording studio. Goodstadt says people can record their work just like the pros. 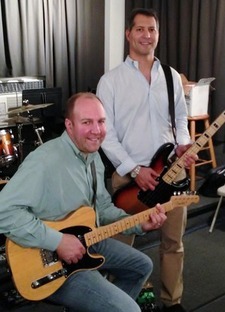 Fleischman and Goodstadt are the first franchisees of Bach to Rock, which has six other locations. The two are focused first on this initial spot in Port Washington but, if it is successful, they intend to open up more locations in Nassau, Westchester and Fairfield counties. “We wanted to be local to where we live,” Fleischman said. Goodstadt lives in Westchester. 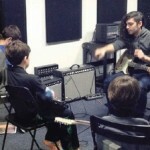 Bach to Rock offers classes for children as young as three to begin learning about rhythm, melody and singing. Another opportunity from Bach to Rock is for slightly older children to learn about keyboarding. “We always make it fun,” Fleischman said, adding that the music that is learned is the more modern music played on the radio and whatever kind of music the student is interested in. Children also have the opportunity to be put into bands based on their age, ability level and musical interest so they can learn how to perform. The school’s first student is going to be learning to play the oboe, Fleischman said. The student already plays other instruments and wants to expand his repertoire, he added. Fleischman feels that his business is different than the music classes taught in schools because it can be customized to the student. For Flesichman and Goodstadt, this opportunity “enabled us to combine our passion for music, education, technology” and other areas, Goodstadt said. Both men are fathers of school-aged children. Bach to Rock isn’t just for children though. For adults, the recording studio is available to produce music and instruments are also available for those who want to play after work. The owners also hope to have open jam nights in the future so that for a little bit of money, people can play with a band of their musical interest. Both Goodstadt and Fleischman agreed that it would be “incredibly gratifying” to them to have one of their students become the next big recording artist. The two would appreciate helping to give someone their start. Bach to Rock will have an open house on Nov. 17, complete with free band performances and music lessons from 10 a.m.-5 p.m.